A range of tissue and cell types from adult and juvenile stages of vent- and non-vent-dwelling deep-sea and shallow-water organisms were compared for signs of cell division, in preparation for a cytogenetic study of the different groups. Virtually all the Mid-Atlantic Ridge (MAR) vent species (bresiliid shrimp, bathymodiolid mussel, branchipolynoid polychaete, and a range of small gastropods) showed an abundance of metaphase chromosome spreads, indicating a generally high intrinsic rate of cell division, irrespective of their phylogenetic group. In comparison, similar tissues and life-history stages (i.e. gonad, developing eggs and gill) from two deep-sea bathypelagic crustaceans, Hymenodora and Gnathophausia, failed to yield any convincing evidence of cell division. This indicated that rates of growth and reproduction in the rest of the deep sea are extremely low. 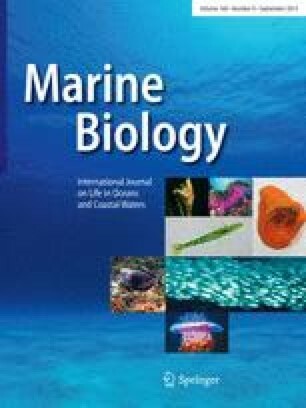 While much has been written about the contrasting growth rates of vent versus non-vent organisms, this is the first direct evidence of differences in cell-division rate between vent and non-vent species, which undoubtedly reflects contrasting conditions relating to food availability and temporal stability in these two deep-sea environments. The cells of shallow-water marine invertebrates (Mytilus, Nucella, Littorina, Pomatoceros and Crangon), based on the results of previous cytogenetic investigations, occupy an intermediate position with respect to their cell-division kinetics. When chromosome numbers, DNA content and nuclear diameters were compared between vent and non-vent species, this showed that no change had occurred in these characters since the time of vent colonisation. Representative chromosome spreads from hydrothermal-vent organisms are shown here for the first time.